Yes, the disco dance floors are a thing of the past, you can still find your groove with Triple 7 Inferno Slots, a classic, three reel slot game by Real Time Gaming. Triple 7 Inferno is a blast from the past, in the form of a three reel slot that comes with a heavy duty single pay line. The design of the game is in the mold of a traditional slot game, and it even features a side crank. This title has a three coin game, so depending on the number of coins you wagered with will determine the amount you will receive. A popular symbol in this sizzling hot game is the fiery seven. The fiery seven is such a blazer that a single coin wager, you will automatically score a win. A two coin bet with the fiery seven rewards you with 500 coins, and off a three coin bet, 1,000 coins will jingle your way. The second top paying ranking symbol is the red seven. To win with this icon, you will have to bet with at least two coins. The winning values range from 150 to 300 coins. In order to win the 300 coins, you have to place your bet with the maximum. You can win with any combination of three sevens, but you will need to place at least two coin bets to win. The classic triple, double and single bars are important as well. The triple bars will pay out 60 coins, the double bars, 40 and the single bars shells out 10 coins. You can also notch a win by getting any combination of bars. There is no wild symbol nor any scatter icon in Triple 7 Inferno Slots, so there are no extra winning multipliers nor free spins rounds. There is no auto play mode, so all bets will have to be placed manually. There are buttons to easily make a single, double or triple credit for every spin. Triple 7 Inferno Slots does not have a progressive jackpot. The top jackpot amount in the game is 1,000 coins for getting three fiery sevens to land of a three coin wager. Real Time Gaming proudly presents Triple 7 Inferno Slots, a highly entertaining game that is in a class of its own. 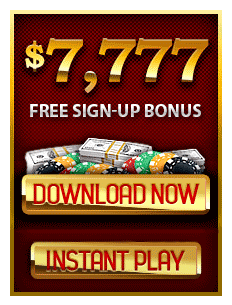 Triple 7 Inferno Slots is widely available at many, online casinos, for your personal computer or your mobile device to play at your leisure.